Sit up straight. Stand taller. That's the core mission of Lumo, a company that produces fitness sensors that focus of getting you to correct your poor posture. To achieve this, the company produced the LUMOBack--a waist-worn sensor that buzzes when you slouch and provides a constant reminder to adjust your posture to correct positioning. LUMO announced the newest member of the family at CES 2014: the Lumo Lift. A small oval device (shown in various colors at the top of the story) that attaches to clothing using a magnetic clasp, the Lift is very sleek, very lightweight, and nearly undetectable. In addition to the square, colored clasps, more feminine jeweled styles are also available that make the clasp appear more like a broach. Designed to be worn anywhere on the upper body, the Lift also focuses on posture correction--but while the LUMOBack addressed posture mainly via the positioning of your pelvis, the Lift identifies proper posture via the positioning of your chest, shoulders, and chin. 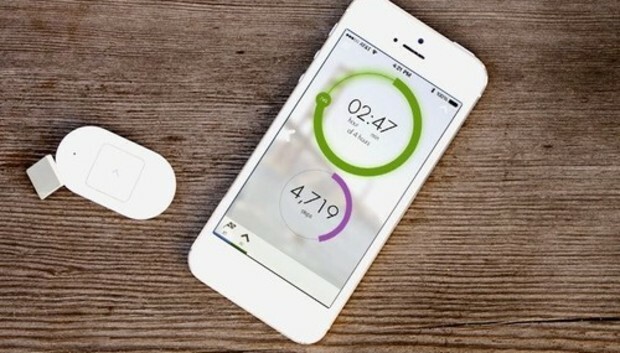 Again, like the LUMOBack, the Lift buzzes to alert you to incorrect posture and will also measure steps and calories. LUMO says it is working on testing different vibration alert patterns for various notifications, which should prove helpful as the Lift can also buzz you with a notification if it senses that you've been stationary for too long. LUMO begins taking pre-orders for the Lift tomorrow; the first customers will receive a special discounted price of $59. Once it hits market, which should be sometime in summer 2014, LUMO expects to retail the Lift for under $100. Note: Because it relies on Bluetooth LE to connect to an app, it's likely to be iOS-only.